Do you know the meaning of the names of all the months? The English months are not in English; they are surprisingly connected with Sanskrit. Do you know what December means; Das means ten and Ambar means sky, so December means the tenth sky. Nav means nine in Sanskrit. November means the ninth sky. October means the eighth month. Sapt means seven, amber means sky, so Saptamber became September. August is Shasht, which means sixth; so August is the sixth month. January is the 11th month, February is the 12th month and March which means going ahead – that is when the new year begins. 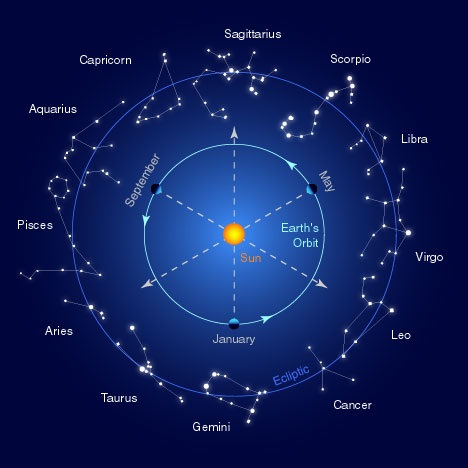 That is when the Sun arrives in the first point of Aries, at the end of March. Even today, in Afghanistan, Iran and all these countries, they celebrate March 21st as the new year day because this was the ancient vedic concept. March means new. Feb means fag end. Don’t we say, ‘Fag end’, that is February. Why is 'March' the beginning of new year? Is there some scientific significance/explanation? In fact, in India, we celebrate the new year couple of times in a year: during March and also during the Diwali celebrations. Why twice and what is the reason? To know more, read: New year celebrations in India. Each Day of the week is connected with a cosmic entity. Did you know that Monday is the Moon’s day in most of the languages around the world? Lunar or Moon makes Monday the day of the Moon.